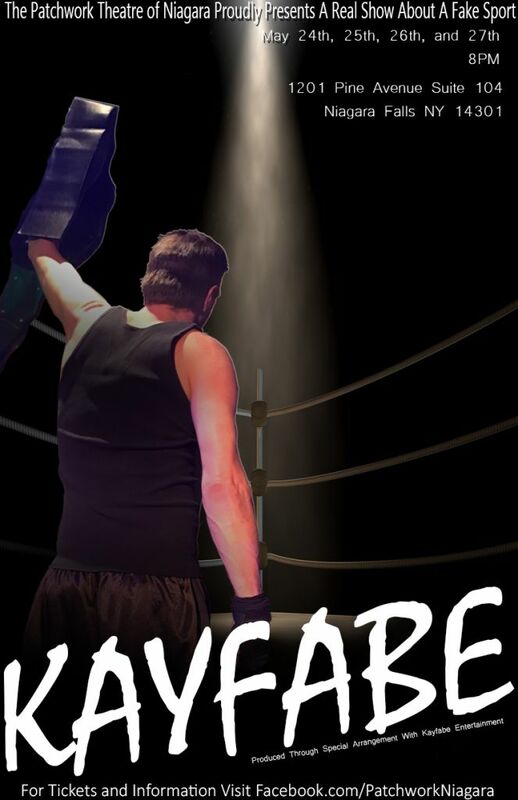 The Patchwork Theatre of Niagara closes out it’s 4th season with Kayfabe, a dramatic comedy about a failing independent wrestling federation. Based on the 2007 Canadian mockumentary of the same Kayfabe presents an honest look at the world of independent wrestling and the underlying humanity of the very dangerous and oft mocked business. Dealing with such issues as relationships, injury and bankruptcy while also having fun with colorful characters and their over the top in ring personas, Kayfabe is sure to be a hit with wrestling fans and non fans alike.